On a visit to Eastbourne’s Sovereign Harbour just after Christmas I noticed plants of Polycarpon tetraphylla (Four-leaved Allseed), vibrantly green and in full growth in areas away from where it was first seen. 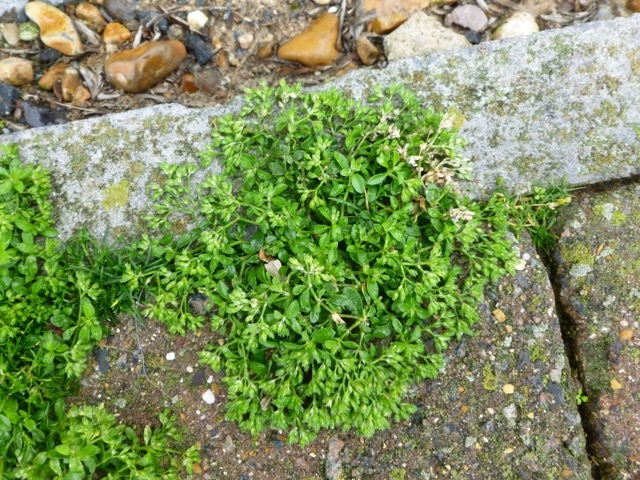 The first record for East Sussex was in 2009 when two plants were discovered in cracks in brick pavements at Sovereign Harbour. They were alongside the inner basin, well protected by surrounding buildings. This basin functions as a marina with hundreds of yachts and leisure craft and some fishing and working boats. Stace describes P. tetraphylla as ‘Native; open sandy and waste ground near the sea. CI, Dorset, S. Devon, Cornwall and Scillies, casual elsewhere’. As yachting is a popular pastime in its English native areas it is easy to see that seeds could have travelled on shoes and clothing worn by sailors. They could equally have come from the near continent as P. tetraphylla is believed to have originated around the Mediterranean though it has now spread as a weed to all continents of the world. 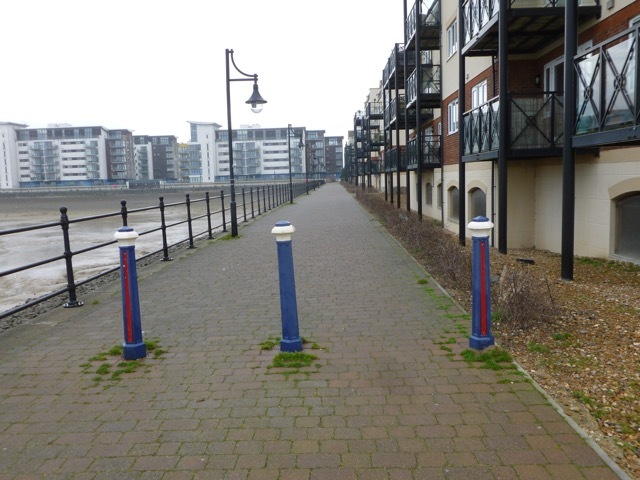 There is no reason to suppose that these Sovereign Harbour pavements are not subject to the same herbicidal spraying regime as other pavements in urban Eastbourne so these casual specimens could easily have met a swift end but this plant’s survival strategy is rapid maturity and copious seed production. The seeds are tiny and dispersed by wind allowing it to quickly re-establish from a seed bank like Stellaria media and Capsella bursa-pastoris also much found in these pavements. On a further visit a few days later I found P. tetraphylla in all stages of growth from germination to seed setting in cracks in brick pavements all around the harbor, not just the inner basin but the outer basin as well as far as the beach which is much more exposed to maritime winds. It has spread into the residential areas too. A few days later still I visited again with Matthew Berry and we searched the shingle areas that remain and the head of the beach but found no plants there. Matthew was able to take me to a roundabout on Pacific Drive right at the edge of the residential area where he had found P. tetraphylla in pavement cracks. Matthew has also found it in four other sites in the town in similar places. If P. tetraphylla is indeed making itself at home one would expect it to spread to the shingle, maybe a few more years will tell.